Presented for your viewing pleasure is the most unusual UFO captured on camera in many years. 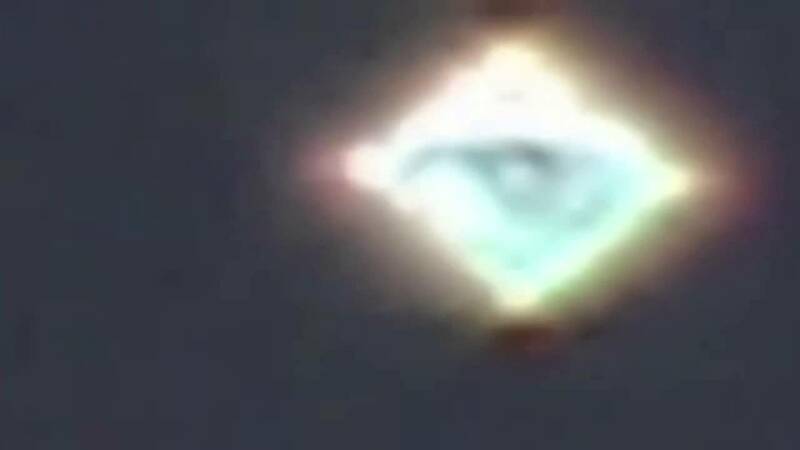 The footage was shot in Lima Peru June 11 and it starts out normal enough with a strange light in the sky. As the cameraman zooms in things start to get very strange. As the object grows in size and detail it appears to be a 2 dimensional diamond with an eye peering out, the illuminates’ all seeing eye at that. If that isn’t the strangest thing you’ve seen recently then you should probably be posting it up on YouTube. Sit back, relax and don’t stare directly into the all seeing eye, they may remember you.